That includes losing two weeks to travel (one week of eating out, and another spent to undo the damage). In the end, it got very close, but I had some events coming up (read, free food) that I didn’t want to miss out on, so I used all my willpower to lose the last few pounds – and I did it! The true challenge will be maintenance from here on out. But first, lunch. 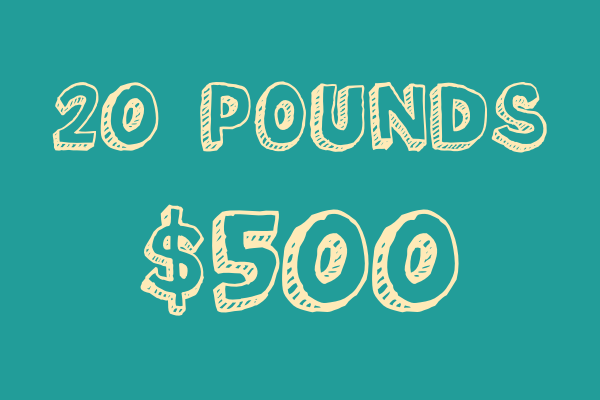 I made a bet with a friend: Whoever loses 20 pounds first gets $500 from the other. For me, losing 20 would put me at 10 below my driver’s license weight – which was accurate when I got it at 16—10 years ago. So that’s the big challenge for me, I don’t know when I was last at that weight, so it’s lower than I’ve ever been as an adult. On the other hand just about 2 years ago I put my mind to it and lost almost 50 pounds (though I’ve gained a little back…) so I at least have some experience. There’s a lot of talk about sexism in tech. For the most part I shut it out, even the sincerest stories tend to irritate me. But I think that’s to do with my own feelings on the subject – particularly, that I don’t really know what they are. Having taken a brief moment to consider it, here’s my position (Spoiler alert: this applies to a lot more than just sexism in tech): be nice. Here’s a video that goes over the very basics of using git. It doesn’t go over installation though, so if you haven’t yet installed git, go do that first. From nothing, to a local repo, to a remote repo, to undoing local and pushed commits. This post is sort of a recap of a talk I gave a couple years ago. Whenever you get a WordPress code snippet, where do you put it? It’s not uncommon all those bits of code to end up cluttering up the functions.php file of your theme, whether out of habit or suggested by tutorials. But wouldn’t it be better if all those non-theme snippets were plugins instead? Yes! As plugins, you can switch/upgrade themes without losing that functionality and toggle the funtionality without editing the theme. And great news! It’s really easy to turn a snippet into a plugin. The command line is really powerful and there are a quite a few things made easier by using it. When I started learning things, I did a lot of copy-and-paste. It got the job done (usually…), but I rarely understood what I was doing or why it worked. So I want to outline a handful of basic commands, and some tips and tricks. get as much done on my projects and to-dos as possible during April. Did you know that if you don’t have an actual robots.txt file, WordPress will create a virtual one for you? For example, I have not created a robots file for trepmal.com, yet you can see one at https://trepmal.com/robots.txt. However, if you (1) use nginx, and if you (2) followed certain popular guidelines* for configuring your site, and if you (2) are relying on the virtual file, you might discover that you get a 404 if you try to view your robots file. I’m looking to spread the word about WP-CLI. One way I’ve decided to do this is to submit a WordCamp talk proposal on the subject. Of course I can talk about how I’ve benefitted and about my favorite things, but I’d really like to make sure my talk is well-rounded and takes into account real world usage. Basically, I would love to hear from you about your experiences with WP-CLI. That feature you’re looking forward to using? When did WP-CLI save you hours on a project? Did it teach you something? Whether there’s something you want to learn or a tip to want to pass on, let me know in the comments! Things you’ll need: Alfred with Powerpack and GeekTool. The premise is simple: maintain a simple list with Alfred, use GeekTool to show it on your desktop. The Alfred part will be a Keyword → Run Script Workflow. The keyword I’m using is list, with an argument required. I still haven’t gotten this. Since 2048 is all the rage, I decided to add the WordPress twist. 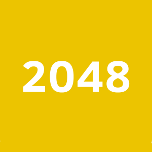 A simple plugin that will reveal a 2048 game board when you type 2 0 4 8. Has had only minimal testing, and I know there’s room for improvement. Feel free to send your bug reports and/or pull requests!